The clutch is a component that accomplishes power transmission from the engine to the transmission. It is indispensable when starting and shifting between gears. Although the strain on the components is huge, it is very durable. The clutch usually only needs to be replaced between 50,000 and 70,000 miles. Those who use the clutch carefully and do without the so-called "cavalier start" (that's, the extremely quick start-up) can even do well over 100,000 miles with a clutch. A clutch consists of a flywheel, a pressure plate, a disengaging unit and a clutch disc. 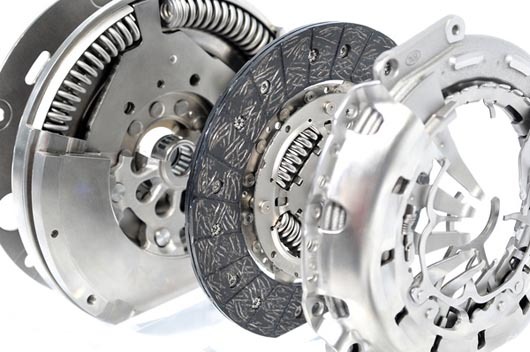 When the driver speaks of the exchange of the clutch, he/she usually means the clutch disc. This is provided with a durable covering, which wears off when changing gear and when starting. The wear of the pad announces itself with a bad power transmission; the engine turns up when starting without the car immediately set in motion. Even if the gear change is difficult, it is usually due to the clutch. The cost depends primarily on how difficult the replacement of the part is. There are relatively few differences in the cost of the material. In order to remove and install the clutch, some vehicles require a considerable amount of effort. It may be that the entire front landing gear stool with engine, transmission and steering must be disassembled and reassembled. Under certain circumstances, cooling water, oil and gear oil must be renewed. That's why we at Bourne Car & Van Hire will always have a good look at the vehicle first in order to give you an accurate estimate before starting the work. Motorists should know the key signs that indicate problems with the clutch. This is important because not every problem with gear shifting means that the part has to be replaced. In view of the rather high costs, everyone should know which way a clutch is spared. A clear indication of a worn surface is that the car can be set in motion only with difficulty. If you let the clutch come slowly while gently accelerating, you realise that the engine is getting louder than normal. The car begins to roll only hesitantly. Anyone noticing these signs should apply the handbrake and engage in the highest gear. Now the driver gives a little gas and lets the clutch come. If the engine stops, the clutch is OK. Attention: The test is actually not good for the clutch, so this test must not be done frequently. Problems with shifting indicate that the hydraulic pressure is wrong. Sometimes it is enough to just refill oil. If there is a leak, a major repair of the hydraulics might be needed. The clutch does not always have to be changed. The pad on the disc wears out the strongest whenever the clutch is at the so-called grinding point. Drivers who prevent the car from rolling away at the traffic lights by operating the clutch and accelerator pedal when the gear is engaged, destroy the rubber in the shortest possible time. Anyone who starts gently spares this part considerably. In general, it is better for the mechanics of the car, when waiting at traffic lights or barriers to engaging Neutral, instead of having to constantly engage the clutch. This habit unnecessarily strains the hydraulics. If you do not press the pedal far enough, you will not completely separate the disc. This leads to an increased abrasion of the coating. The clutch replacement does not have to take place in a brand workshop. We at Bourne Car & Van Hire can do the same quality work at a fraction of the costs. We are well-equipped and all our staff members have plenty of experience. •	The car must gently roll on start-up without the engine starting to howl. •	Gears must be able to be inserted silently and without effort. •	Noises when switching or when more power is suddenly required are warning signs. •	When the handbrake is pulled in the highest gear, try to drive. The engine should die off. Here at Bourne Car & Van Hire, you will always get a detailed quote including parts and labour. So you know exactly what to expect, and you can decide without any pressure. If you have any questions, please give us a call, send us an e-mail or simply come to our workshop in Bourne - Tunnel Bank off, Cherry Holt Rd, behind Tesco.